Its been eagerly awaited! And its here! 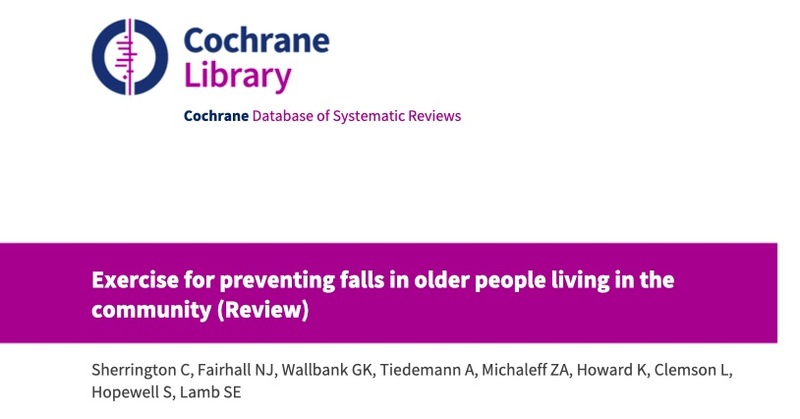 To view the full document and download from the Cochrane Library. 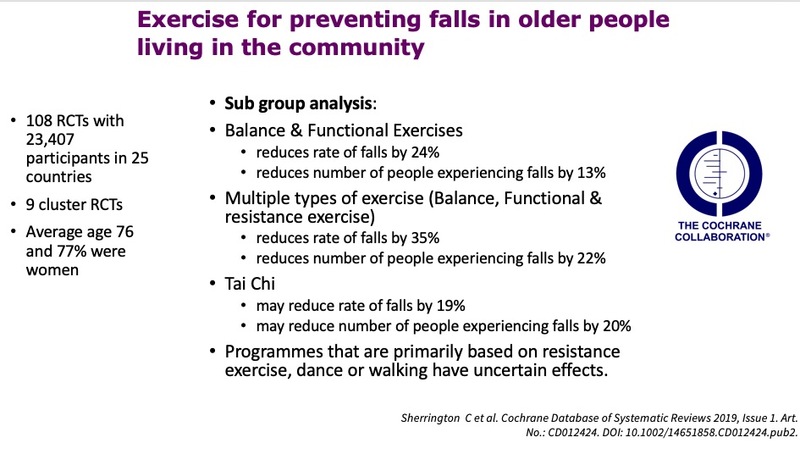 It confirms Sherringtons 2017 review, balance, functional and strength structured exercise programmes reduce both falls rate and number of fallers. Tai Chi may reduces both (evidence slightly less robust). 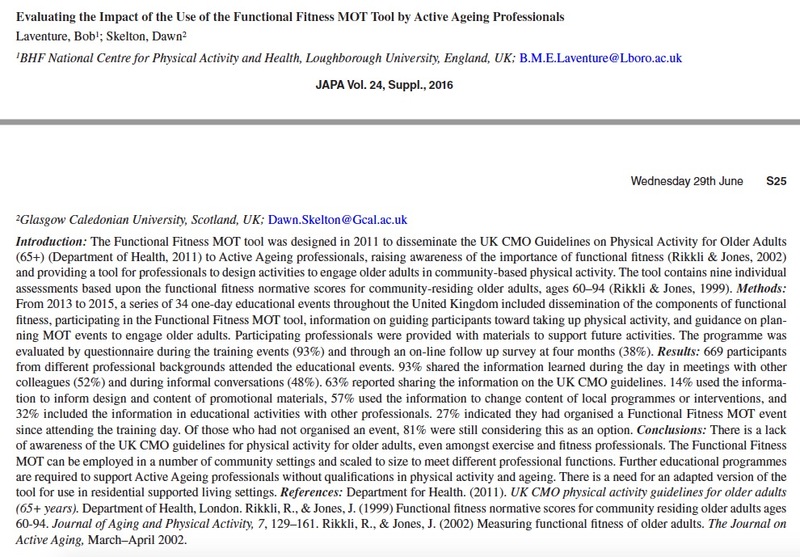 Importantly it still states there is not enough evidence to be clear on dance or walking programmes, or strength training alone. 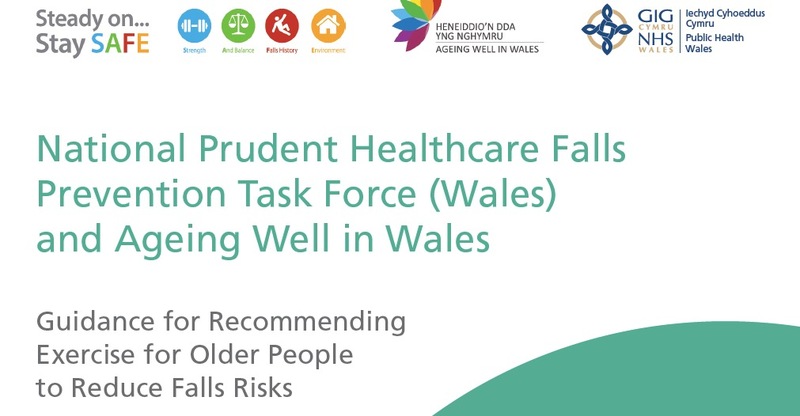 Whats more exciting is there have been more studies looking at exercise and falls that have other outcomes assessed. 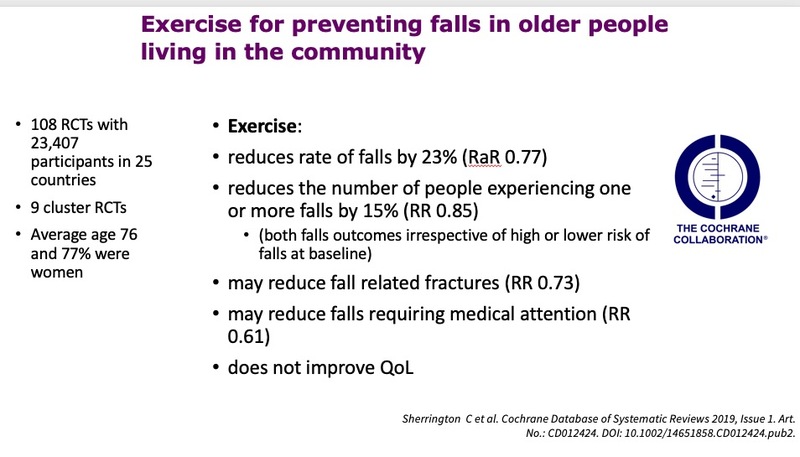 So we now know that exercise may reduce fall related fractures and falls requiring medical attention. We have done a couple of summary slides to help – see below!. 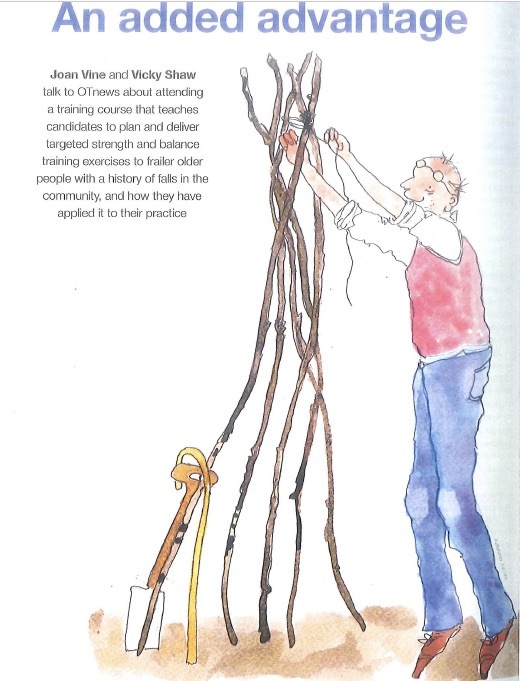 This further strengthens the evidence behind FaME and Otago interventions and their delivery with fidelity.